Within SMU’s Dedman College of Humanities & Sciences, students not only receive a comprehensive liberal arts education; They also have an edge in career preparedness. 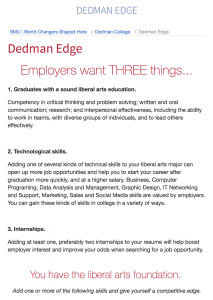 Through the Dedman Edge, students can supplement their education by focusing on skills frequently demanded by employers. These skills include graphic design, marketing, social media, data science/analysis, and more. Dr. Nancy Campbell with the sociology department is using the Microsoft Office Specialist (MOS) certification program to integrate the Dedman Edge directly into her courses. In January, Dr. Campbell launched a new course called The Sociologist’s Toolkit. This course included weekly seminars with guest speakers largely focusing on strengthening students’ embrace and articulation of their identity as sociologists as well as practical skills needed in the workforce. In addition, students were asked to complete two Microsoft Office certifications to validate technical skills and grant students an opportunity to showcase their certifications on their resume. 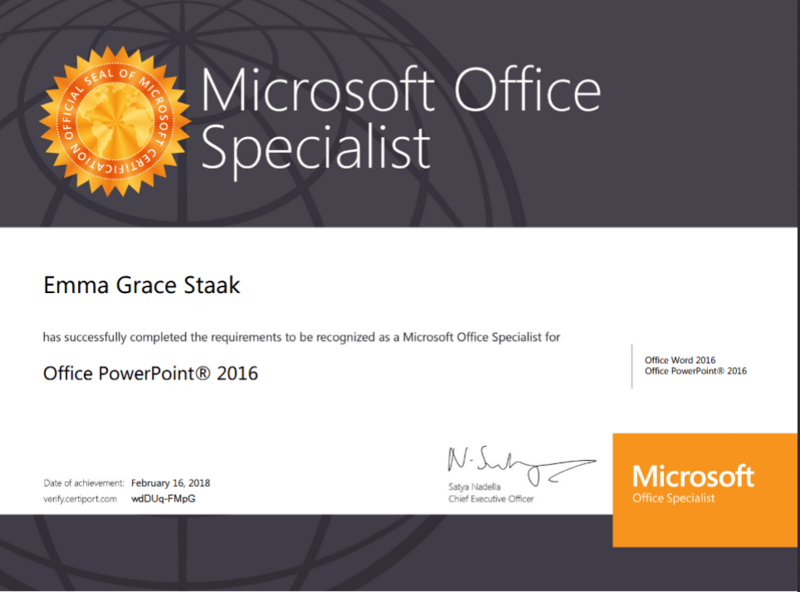 In total, 15 Microsoft Office Specialist certifications were issued in Microsoft Excel, PowerPoint, and Word. The Microsoft Office Specialist pilot program launched in Fall, 2017. Currently, the pilot program has been extended for an additional academic year. Faculty who are interested in learning more about offering Microsoft Office certifications to students as extra credit or part of a course requirement should contact Laurene Klassen at lklassen@smu.edu.